Senba Aizawa (Tamiyo Kusakari) is a 46-year-old housewife. Before she married, she worked at a bank, but quit her job after her marriage. One day, her husband (Yuichi Haba) asks for a divorce. He met his first love (Yoko Moriguchi) through social network site Facebook and now wants to marry her. The couple are now going through their divorce proceedings. In order to keep custody of her son, Senba Aizawa gets a job at a luxurious hotel. There, she meets Yusuke Takaoka (Koji Seto) who is the handsome heir of the luxurious hotel chain and nicknamed the Prince. Almost 20 years younger than Aizawa, appears Yusuke to be the perfect man, but beneath the surface lies a deeply loathsome heart. Slowly begins Aizawa to have feelings for the younger Yusuke Takaoka. m May 08 2013 5:17 pm am i correct in thinking that Seto Koji is wearing fake tan?? 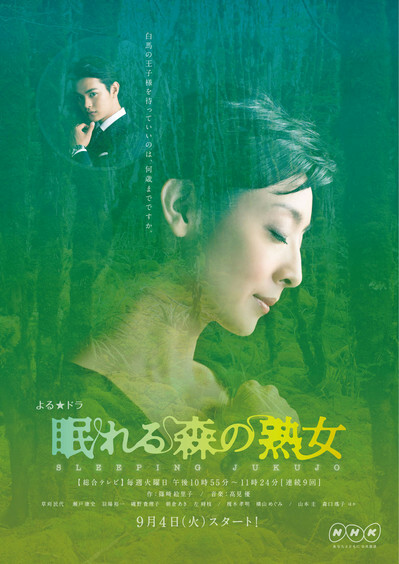 Liza Jun 20 2012 4:31 am Yey i'm excited to see Seto Koji on a new drama!, sounds very interesting.